The Mama Hustle… we all know the struggle right?! Spending most of the day trying to get everything done for our children and then the second they are asleep we are trying to get the house cleaned, clothes washed, dinner ready and then maybe get time to work. Madly answering emails, getting back to customers, posting on our socials… honestly it is tough! It’s hard to have a productive day “at home” even if your child is at daycare or school, there are always endless things staring at you that need to be “done” around the home. You can fill up an entire day of house chores and feel like you haven’t really achieved anything! Sound familiar? Well, I recently got the opportunity to go somewhere and work and actually get stuff DONE! It’s called ‘Beaches Coworking’. 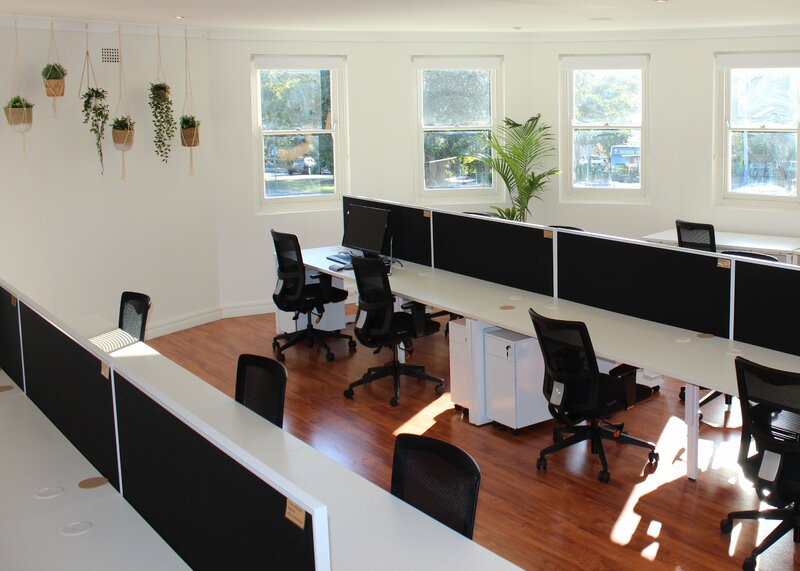 This is a shared workspace and located in the heart of the Northern Beaches in Mona Vale. Honestly after you work from there you will no longer want to do the long, boring commute to work in the traffic or be stuck at home caught up in house chores when you should be working, because this place is beautiful. On first walk through you will notice the space is so light and airy, white walls and big beautiful windows give the work space a great feel. 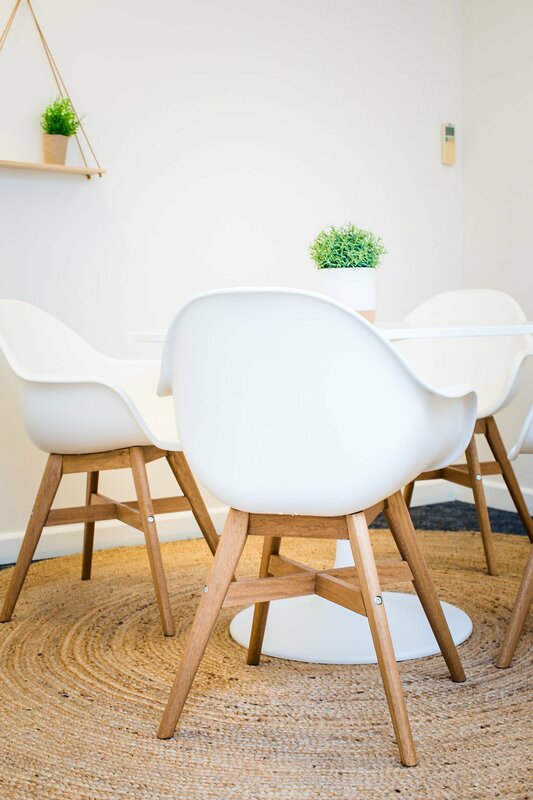 Gorgeous wood and cane furniture pieces and lot’s of plants make for such a calm and relaxing atmosphere. Seriously after 2 days of working here I did not want to work at home again! They have what they call a “hot desk” which you can book full time (24/7), part time *3 days a week) and casual visits. 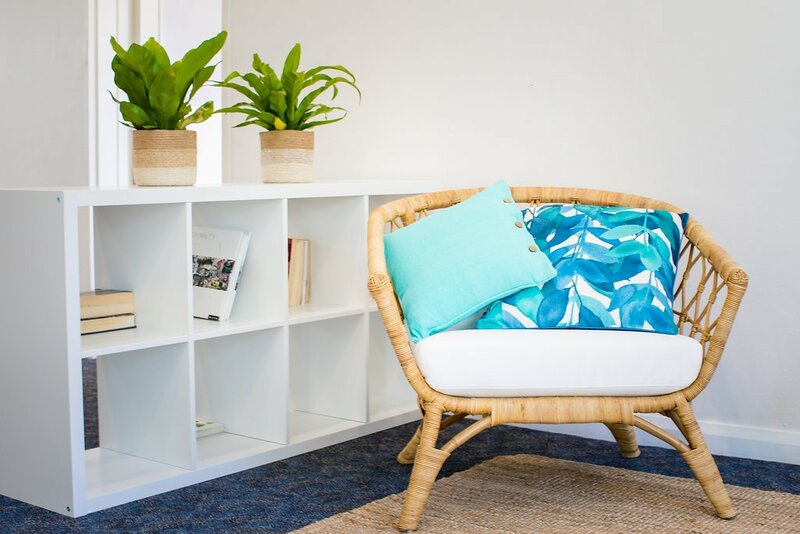 They have also just release their new ‘half day’ option, which will work for mums, where you can book a desk for half a day (either from 8am to 1pm or from 1pm to 6pm). They are offering a free trial so if you think you could benefit from working here get in touch with them to organise it. 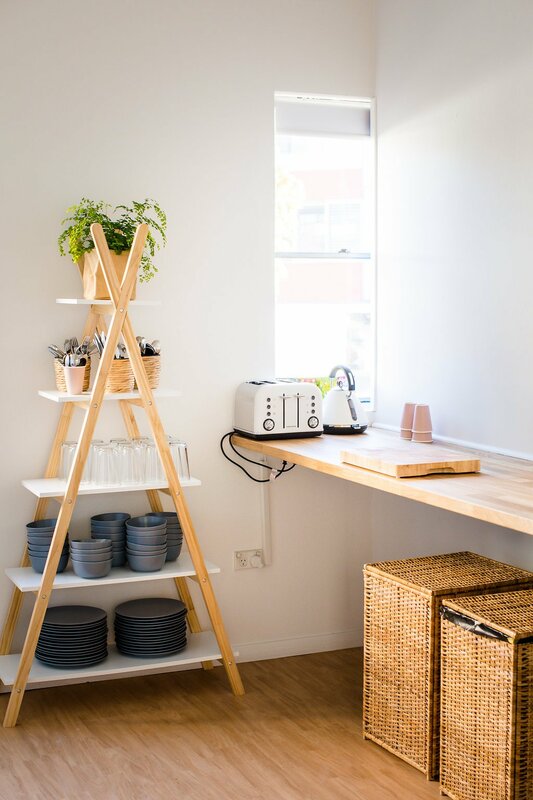 One thing I have certainly learned is that a shared workspace is more than just somewhere to put your computer or get out of doing 5 loads of washing. It’s also a great way to connect with other business like people and Mama’s. Networking is essential you never know how meeting the right person can help. There are endless opportunities for meetings, connections and collaborations. 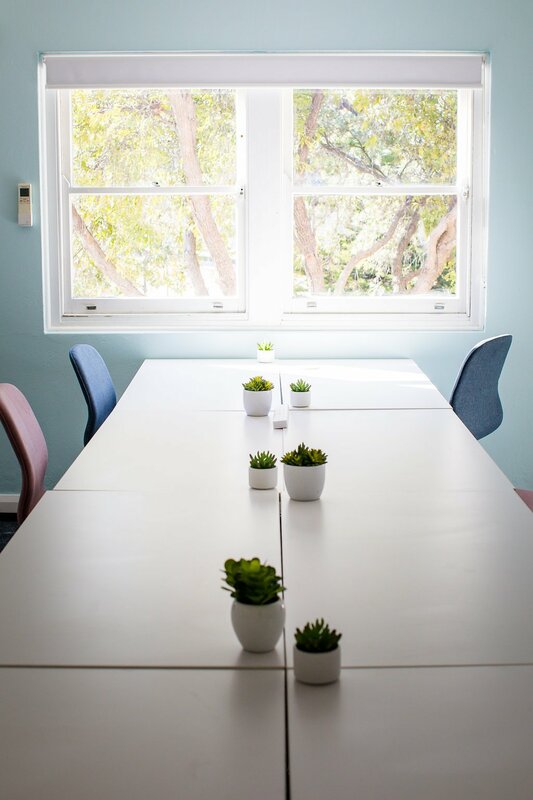 There is also a 4 person meeting room which is an intimate space for smaller meetings, whilst the boardroom is a more formal set up designed for 8-10 people. 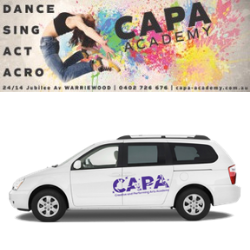 Both can be booked online by the hour, half day or full day by members and external parties alike. 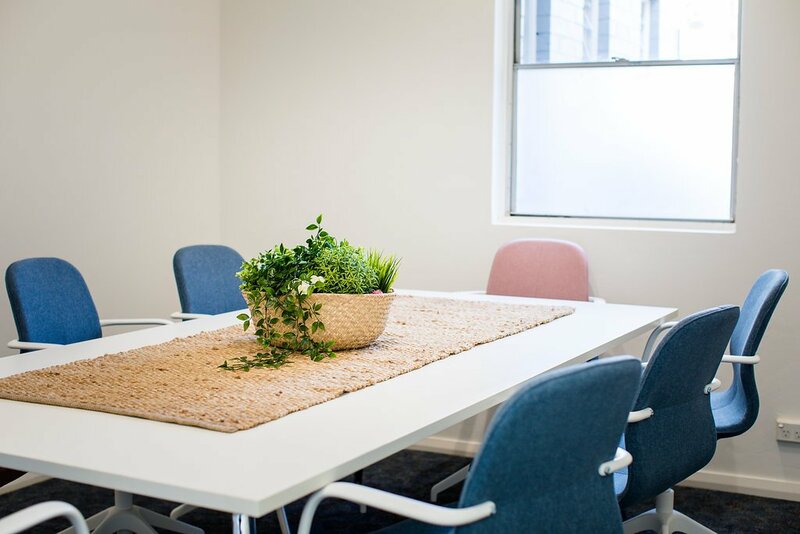 And wait there’s more… there is also a training room, which is a large space that can be configured however you like – boardroom style, in a u-shape, or as a classroom with or without tables. It is available for full day bookings and they even love to arrange activities pre and post meetings too (e.g. 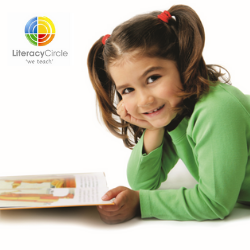 surfing lessons, cooking classes, art classes, dinners, etc). They even have phone booths if you need to record webinar or just talk loudly. Absolutely endless opportunities here. Beaches Coworking is also surrounded by beautiful cafes and shops so when I needed a little break from my work I just popped out and had endless options to get a caffeine fix and lunch. Then when I was done and ready to get back into work, it was breeze as they have super fast fibre optic internet. Beaches Coworking also provide the ability to exhibit at the space and they run various events and workshops too. So kickstart your productivity now… book in for a free trial now by emailing hello@beachescoworking.com.au. You’ll get endless amounts of work done, in a really cool space with a great atmosphere. I loved this place and I know you will too! Fight on the Beaches 2017 - can YOU help?